Last year we headed over to Gamescom and hosted The PC Indie Pitch for the first time ever. 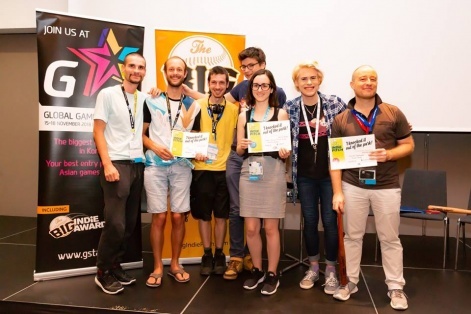 One year on and we're back with The PC Indie Pitch having only gone from strength to strength, and ready once again to highlight the best PC indie games to be found at one of the biggest gaming events in the entire world. 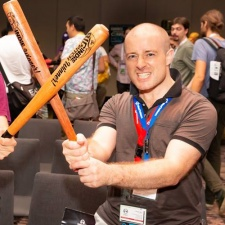 Teams get the opportunity to get valuable feedback on their games, as well as win great prizes such as promotional packages and, more importantly, the coveted PC Indie Pitch bat, a prize that developer Pinata Punch walked away with this year for their game Colorful Darkness, beating 11 other developers in the process. They weren't the only developer that walked away with a prize though, as Niebla Games' Causa, Voices of the Dusk was awarded the prize for second place, with Lance's oQo rounding out the top three. Read on to learn more about Colorful Darkness, alongside the two games that walked away with our prizes for second and third place. Colorful Darkness is a point-and-click adventure set in a futuristic world filled with mystery, intrigue and importantly, choices. Within this world, computer hacking plays a major role and players can expect to find a realistic hacking simulation combined with all the charm of a graphic adventure platformer filled with emotion, life, dilemma-based decisions and multiple endings. Causa, Voices of the Dusk is a free-to-play collectable card game for PC, consoles and mobile, with cross-platform capabilities. Within the game, players are placed inside a fantasy world and tasked with taking on the role of a powerful leader trying to prevail over multiple warring factions. The gameplay itself offers a variety of unique and interesting twists on the collectable card game genre. Furthermore, Causa additionally includes a plethora of gorgeous original art and a range of both single player and multiplayer challenges and campaigns for players to get their teeth stuck into. oQo is a soothing puzzle platformer in which players must move along waves by drawing ephemeral and hypnotic paths. One of the main inspirations behind oQo's unique gameplay is that of meditation; something that can be clearly seen in both the gameplay and the game's presentation. This is especially true of oQo's charming soundtrack. All in all, given the hectic world we all live in, oQo presents a fun and enjoyable game designed to help people wind down and relax at the end of a hard day. Want to show off your exciting new game? We host PC Indie Pitch events throughout the year, so be sure to keep an eye out on our events page for an event near you.